Is there something you use in your library that you think should be added to the list? Send your tips to Courtney to be featured in the next issue of the newsletter (by Tuesday of next week). Thank you! ...a lot of people misinterpret Google Image search. Unless you use the advanced search filter to find only Creative Commons licensed images, most of what you find through Google Images is copyrighted. Google doesn't host the images or license the images. Google Images is simply a search engine. Giving an image credit to Google Images is not citing the source and even if Google was the source, unless it is labeled as Creative Commons or Public Domain, you can't use the image without permission. The exception being in the case of fair use. But even then just because you're using it for an educational setting doesn't mean it automatically qualifies your use as fair use. For Elementary Team Plan Day on November 9th, we are going to have a Tech Morning at TAC. We are looking for librarians who would be interested in presenting that day or for topics you would like more training on related to technology. Send Courtney your ideas for sessions you can present or sessions you would like to attend! One of our librarians wondered if others would like to share Podcasts they like to listen to or who they follow on social media--that relate to libraries, reading, etc. If you have any you would like to share, please email Courtney. We will feature them in upcoming newsletters. The podcasts below are intended for upper elementary to middle grade students. They are done in the style of radio plays with voice actions and sound effects. My 4th grader and I have listened to them and really enjoyed them. The episodes are anywhere from 13-30 minutes so may not be the best to use in class, but they might be fun to share with students, parents, or teachers. Created by John Sheehan, a producer of NPR’s Fresh Air with Terry Gross, The Radio Adventures of Eleanor Amplified invites students to listen together as world-famous radio reporter Eleanor foils devious plots, outwits crafty villains, and goes after the “big story.” Eleanor’s pursuit of truth takes her into orbit, out to sea, through a scary jungle, and even into the halls of Congress. A production of WHYY in Philadelphia, this radio adventure series is both entertaining and informative as Eleanor defends the values of high-quality journalism—having access to information, including different points of view, telling the truth, and more. Eleanor will spark laughter and conversation, while preparing students to appreciate journalism and make smart media choices in the future. The podcast is appropriate for youth of all ages and recommended for children aged 8–12. 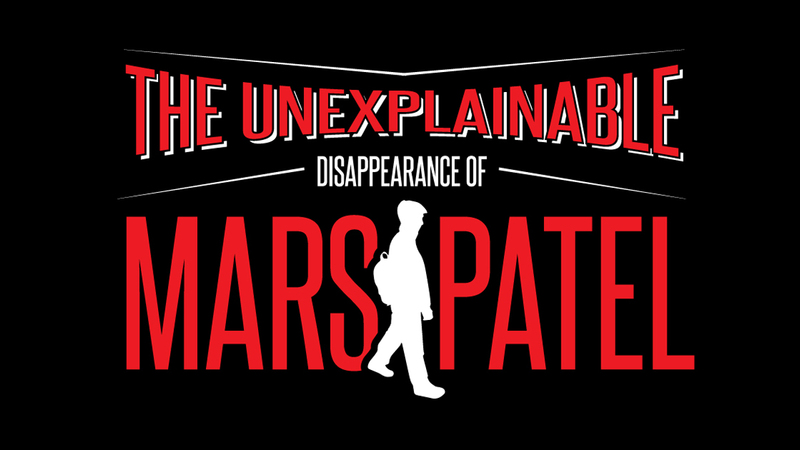 The Unexplainable Disappearance of Mars Patel is a scripted podcast for middle grade kids, performed by middle grade kids. It is a fun, high-quality, serial mystery that can be described as Goonies meets Spy Kids meets Stranger Things for 8-12 year olds. It was voted as one of the top 50 podcasts of 2016 by The Guardian, and was recently honored as a Peabody award winner. Mars Patel is also a 2017 Webby Award nominee for Best Audio Drama & Best Sound Design/Original Music Score. The show is enjoyed around the world by kids and adults alike. Want to Give Input to the Golden Sower Committe on Titles? Here is a summary of the responses to our C-Day survey on how we can all be responsible for active listening. · Having topical, relevant discussions at meetings. From one librarian to another, I am excited to announce the full program for the 2017 TechKnowledge virtual conference (formerly The Digital Shift)! On October 18, 2017, join LJ and SLJ in a dynamic, day-long, FREE virtual conference that brings together thousands of library professionals and thought leaders from around the globe to discuss this year's theme, Creating Equity Through Technology. This virtual conference will address how technology solutions are supporting equity and inclusion within and among libraries' diverse communities. Our expert speakers and panelists will present innovative ideas and tools for and from libraries of all types—school, public, and academic. Explore emerging technologies, exciting service models, innovative programming, new ways of sparking learning and engagement, and the evolving tech ecosystem through four high-content learning tracks. Register today to secure your place. Join us as we continue to press forward to create and improve library service through the coherent application of technology to mission. TechKnowledge is a FREE virtual conference: no traveling costs, no accommodation costs, no attendance fees–ALL CONTENT. Even if you can't join us on the day, you can still access the event on-demand. I look forward to meeting you virtually on October 18.